"Unfortunately political leaders are powerless today. If we have no intention to change, we can’t expect them to change either. 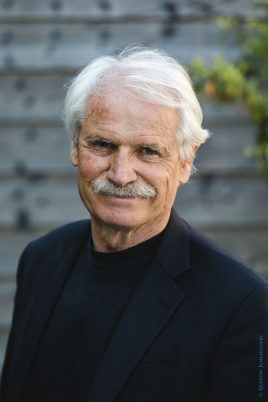 It’s all up to us", declared Yann Arthus-Bertrand, French photographer and environmentalist, author of the pictures contained in the illustrated edition of "Laudato si'" (Rizzoli-Lev), available in bookshops as of tomorrow. On the aftermath of the G20, marked by an increased rift on environmental issues, Bertrand gave us a snapshot of the present moment: “Political leaders are trying to make do with what they have, namely, with national egoisms. No world country wants to bring oil, employment, growth, religions, which we are indelibly bound to, into question." We contacted him by phone for an exclusive interview on the occasion of the volume’s publication. Mr. Bertrand, what impressed you the most of the Encyclical Laudato si? Did you find aspects that have a special resonance with your art? In my view the Encyclical is a revolutionary document. There are very few heads of State and spiritual leaders who dare speak the truth in this way. It takes courage to speak the truth, and the Pope does so admirably in this book. It infers that capitalism is destroying life on earth, the Pope make it clear. He mentions the joyful ingenuousness that leads us to believe that our small daily gestures can be enough to protect life on earth. Official figures are definitely not good. In terms of global warming, according to data released by the United Nations at the end of the century global temperature is projected to by 3.5 to 5 degrees C, pushing the 1.5 threshold set by the Paris deal. To date only few nations have fulfilled the commitments taken at the Paris Climate Change Conference. We are experiencing a sort of ‘religion of growth’ that is destroying our planet. The Pope speaks about things that only few ecologists address, such as the human dignity that underlies all of this. The Pope speaks of human problems. I consider it to be an extremely important document. Yesterday, while I was at the Vatican, I watched thousands of people standing on line to enter, and I told myself that if world religious leaders started seriously tackling the environmental issue the trend could be reversed. Political leaders only have a political vision and thus they have a short-term gaze. Scientists are warning us of the sixth mass extinction of life on Earth, which implies the death of our grandchildren and of our great-grandchildren. It’s an issue of huge proportions and it’s not easy to address it in evening talk-shows. We are facing a sort of communication disease that makes it hard for people to distinguish what’s important from what is not. I think that the Pope can play an important role in this respect. I was surprised to see that when the book was released in France, many churches asked pictures for exhibitions. In my view among all these believers can be found remarkable human resources. This is a sector where ecologists have not worked hard enough. You are atheist but you said that you have always been attracted by the values of Christianity. What motivated you to participate in this editorial project? Today there is the need for a revolution. But it won’t be a political revolution, nor will there be a scientific revolution because nobody is capable of replacing 95 million oil barrels that we consume every day with wind or solar photovoltaic energy, although we need these alternative energies. Today renewable energies – apart from dams – amount to almost zero. It should be realized that a scientific revolution would not save us from global warming, nor will an economic revolution, because the economy seeks to fulfil one single need, namely, to believe in endless growth. But endless growth does not exist in nature, it’s just an illusion that is destroying the planet. We need a spiritual revolution, and this is where I relate to the Pope’s words. I am thinking of an inner revolution: our world will never change unless humanity changes as well. Even though I’m not a believer, even though I don’t believe in God, I believe in the existence of good and evil, and today we are living out the banality of evil. We are surrounded by the banality of evil and we’re no longer aware of it. Whether it is animal suffering or the suffering of my Country – the world’s third-biggest arms exporter and at the same time a Country that upholds human rights. I think that this Pope, towards whom I feel great admiration, can do much more than his predecessors. I believe in science but I think that all our scientific knowledge collapses before our belief that man is eternal and that we will find a solution. But for the time being we haven’t found a solution, and the only way out is spiritual. It’s extremely complex complicated, without a doubt. I come from a rich Country, I can change but not my country, all it can do is to continue polluting. It’s a generous reflection and the Pope says a formidable word: “To have a loving conscience of the world”, “to have a loving conscience of life.” I believe in Christian values: the values of compassion, empathy, honesty, moral and ethical values, kindness, understanding. I feel Christian without believing in God. Images are part of our daily experience, and this all the more true today because in most cases these images are photographs. I believe that we are surrounded by beauty, but we no longer see it. Perhaps the photographer has the talent and the ability to perfect its attractiveness, but beauty will not save the world. In believe in the beauty of humankind. I made a film titled “Human”, I gave a DVD of the film to the Pope. The film focuses on the inner beauty of the human person and on the basic notions of good and evil, universal values that everyone can relate to. As I said, it’s the only thing that will help us change the world. I think the question contains the answer. If we look at the current political situation (notably the ongoing COP 24 summit), it could be said that your pictures represent an urgent appeal. What would you like to say to our male and female political leaders? I am a United Nations Goodwill Ambassador on Environment. My work on the earth and the sky began with the first COP in 1992, but I have stopped believing in these mise-en-scène where participants arrive by airplane, have meals based on meat, and do exactly the opposite of what is expected of them. In the COP 21 Agreement, the last one, considered the most important, the terms “fossil fuel energy”, “coal”, “oil,” have been removed from the final document, if not, manufacturing Countries would not have signed it. This situation is marked by a diplomatic hypocrisy. I think that politicians try to make do with what they have, namely, with national egoisms. No world Country wants to bring oil, employment, growth, religions – which we are indelibly bound to- into question. However long politicians may debate this issue, if their voters don’t follow them their words remain empty and thus they grow withdrawn. Moreover, this time the Conference will take place in Poland, whose government doesn’t believe in the risks of global warming. In fact, Poland heavily depends on coal as a primary energy source. According to official figures some 50 thousand people die every year as a result of air pollution. Unfortunately today the political realm is powerless. If wedon’t want to change we can’t expect themto change. It’s up to us to decide. In short, in your view, are we facing the need for a strong conversion? Eighty percent of the world’s inhabitants believe in God. So clearly, the commitment of spiritual guides is decisive. I must admit that today I feel somewhat at a loss as an ecologist. I’m 72, and I have been passionate about ecology since I was 20. When I was born the world population was of two billion people, today it’s 7.7 billion. Demography is an important problem we have failed to address, it’s the real problem that nobody talks about. Education in developing Countries should be stepped up in order to stop this demography that is depleting our planet’s resources. Indeed, today the world is a better place to live, if we consider that in the past forty years average life expectancy has increased by twenty years, infant mortality rates have dropped, there is more education, wealth and comforts, suffice it to remember that fifty years ago one in three suffered from hunger. However, all this came with a price: the destruction of the life that surrounds us. The fact of having travelled, spoken with many people, met with many scientists, has instilled in me a deep anxiety on the future of world. Every new adventure and every conversion start with a gaze. With reference to our Common Home it could be said that not all gazes are alike. There is an alert gaze and a distracted gaze. There is a global gaze, capable of grasping unity, and the splintered, withdrawn gaze. 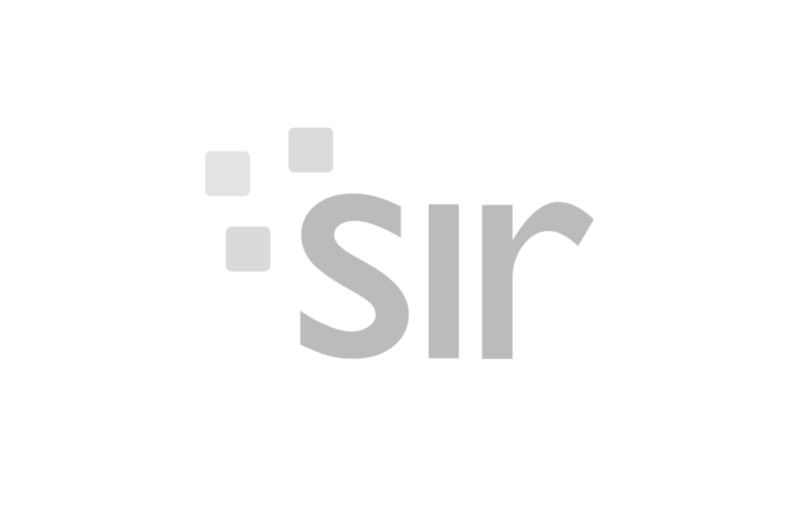 This term – gaze – is part of the vocabulary of Bergoglio-Francis. Furthermore, in the Spiritual Exercises of St. Ignatius the transforming gaze bears great importance, while the verb “mirar” (to gaze at) recurs throughout in derived meanings: to observe, to discern, to contemplate and also to minister to…What is a “gaze” for a photographer? What does it entail in terms of commitment? I always try to have a loving gaze of the world, echoing the words of the Pope. I don’t consider myself an artist, I don’t have an artistic approach to my photographs. Rather, as a good reporter, I try to explain, I take pictures for others. Every time I take a picture or a video I feel I have my share of responsibility. Indeed, this feeling has grown stronger with time. When you sell millions of books you have a responsibility. My friends tell me I have grown sad, that I am no longer able to laugh. Indeed, today I tend to view my job heavy-heartedly. The themes I address are no light matter. I don’t feel like laughing or joking about the world’s future. My job has a gaze of responsibility. I do this job as a photographer, but the profession is unimportant. Anyone, regardless of their job – journalists, architects, taxi-drivers or bakers – can contribute to changing the world through their commitment. I often realise that there are people around me that have decided to change the world, although they don’t have enough means. They do their utmost even if they are not interviewed and they don’t write articles. What I want to say is that there is nothing ridiculous about wanting to change the world. Your aerial photographic technique seems to capture the cries of the planet. What is it that you grasp in that cry, which sometimes seems stifled? I discovered aerial photography when I earned a living as a pilot of hot air balloons. Today we all have aerial pictures on our cell phones, but at the time these kind of pictures did not exist. Aerial photographs help us understand many things: how people live, whether they are rich or poor. It’s almost like flying like a bird over the world, with a gaze that enables us to see things from a distance, to have an overview of the problems we face here on earth. That’s the reason for the success of aerial photography. Today with drones this practice has become more accessible, more common, but when I first started it was an absolute novelty. Nonetheless I continue to fly and I am always enthusiastic, even though today drones have replaced helicopters that released too much CO2. Working with helicopters is not the same thing. It’s more difficult.